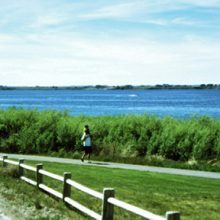 Visit our 128 acre year-round recreation area called Willow Bay. Willow Bay is easy to reach, the State Highway 39 bypass connects to Marina Road and can be reached from either end of American Falls. 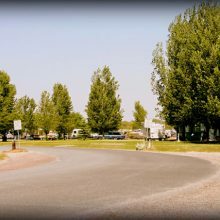 The marina area has a cafe and store, RV campgrounds with hookups, a dump station, laundry facilities and even a propane filling station to top off your stove tanks. In the winter you can even take a stroll out on to the reservoir. OK, it’s ice by then, but local residents take advantage of ice fishing. You can also use the boat docks at Sportsman’s Park near Aberdeen on the north side of the reservoir, at the public boat dock on the west shore across from American Falls, or the Seagull Bay Yacht Club. On the lower side of the falls is the Oregon Trail Sportsman access, you’ll find it at the end of Falls Avenue in town. The access is one of the better fishing and boat launch accesses below the falls. 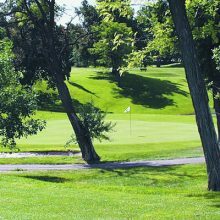 The area features a Golf Course and a driving range at Indian Springs two miles east of American Falls. Trenner Park offers picnic facilities, access to a fishing dock, and a spectacular view from the lower side of the dam. During high water flows you’ll see a torrent of water spilling over the falls that originally gave the city it name Because the area has a large body of water along the Canada-Mexico flyway it’s a haven for bird watchers. The area around the reservoir and nearby Massacre Rocks State Park has recorded more than 200 species of birds. Almost any time is a good time for Bird Watching in American Falls, but you may want to make a special effort to be here in August for the American Falls Shorebird Festival. 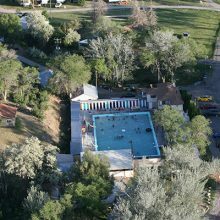 Hot Springs swimming pool. Public-lands-campground with 30 and 50 amp full hook ups available. Bird watching and wildlife. Beautiful scenery, city park, walking path, and a large lake well-stocked with fish. Newly renovated RV hook-ups. Weekly and monthly rates available. Small store for drinks, snacks, and worms. Beautiful 9 hole golf course overlooking the American Falls Reservoir. Easy to walk but carts are available at the clubhouse. Open daily during the spring, summer, and fall months. Part of Massacre Rocks State Park, was an emigrant campground where travelers inscribed their names on basalt boulders. 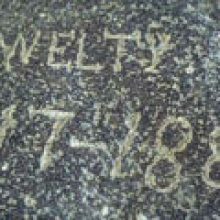 The largest of these bolder is now sheltered by a pavilion, with other inscribed rocks nearby. The site, which is a National Register property includes a picnic area and nearby corral for visitors traveling with horses. 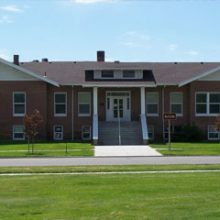 The museum consist of artifacts and art exhibits. We also have a large collection of historical photographs pertaining to the building of the American Falls Dam and moving of the town. 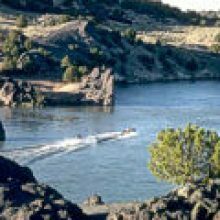 At 56,000 acres, this is the largest reservoir on the Snake River with abundant boating and fishing. 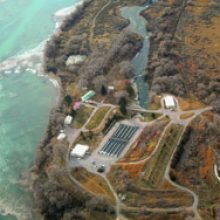 Visitors can see the life cycle of rainbow trout from eggs to 12-inch long young fish and enjoy a 2-mile nature trail near this hatchery.